Thank you for the opportunity to serve as your 12th District State Senator. Sometimes the “going gets tough” here in Olympia as pressure is applied on legislators to take certain actions. 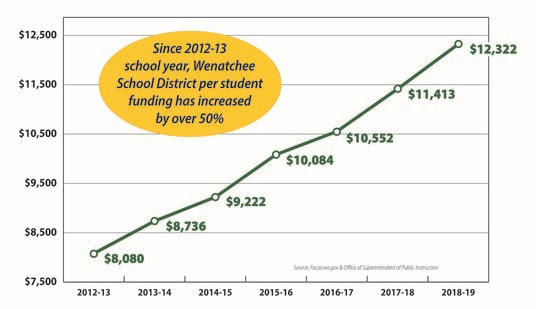 This is the intent, I believe, of Wenatchee teachers union President Kris Cameron’s February 22 guest column in the Wenatchee World that criticizes me for being honest about education funding. She is hoping I will vote to allow school districts to raise your property taxes despite many years of increased funding. Since 2012, the Legislature has increased education funding statewide by $9.2 billion. K-12 education now accounts for over 51% of state spending. For some advocates, however, no amount of additional funding will ever be enough. As your Senator, I stand proud of the steps the state has taken to increase funding to schools, provide more equity in the system, and protect you from significant property tax increases.